When archaeologists find miniature artefacts, the temptation is to explain away their small size. In the case of a tiny handaxe, such as the one below, the usual interpretation is that it was originally much larger but was worn down by use and re-sharpening. But this would result in an irregularly shaped handaxe, whilst this example is symmetrical. The explanation could be much simpler. 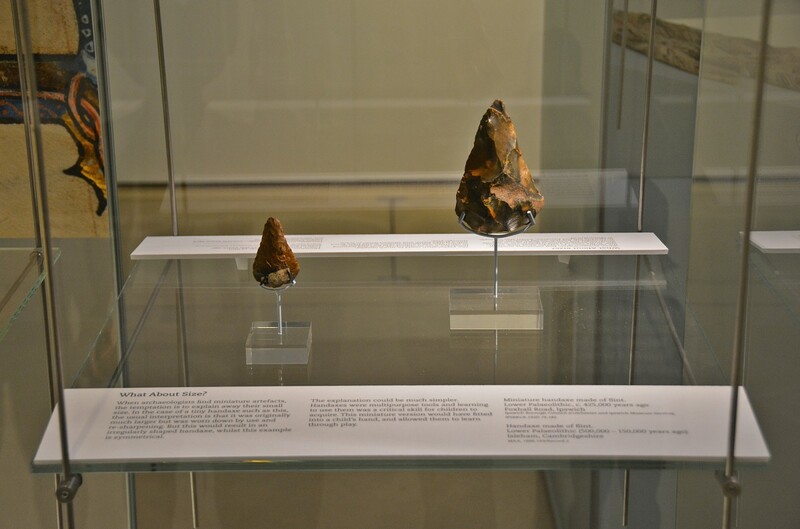 Handaxes were multipurpose tools and learning to use them was a critical skill for children to acquire. This miniature version would have fitted into a child’s hand, and allowed them to learn through play. Miniature handaxe made of flint.